At Animal Hospital of Loves Park, we provide skilled and compassionate pet injury care to pets in need. We hope that you'll never need to use our pet emergency treatment services, but if you do, you can rest assured your pet will be in good hands. 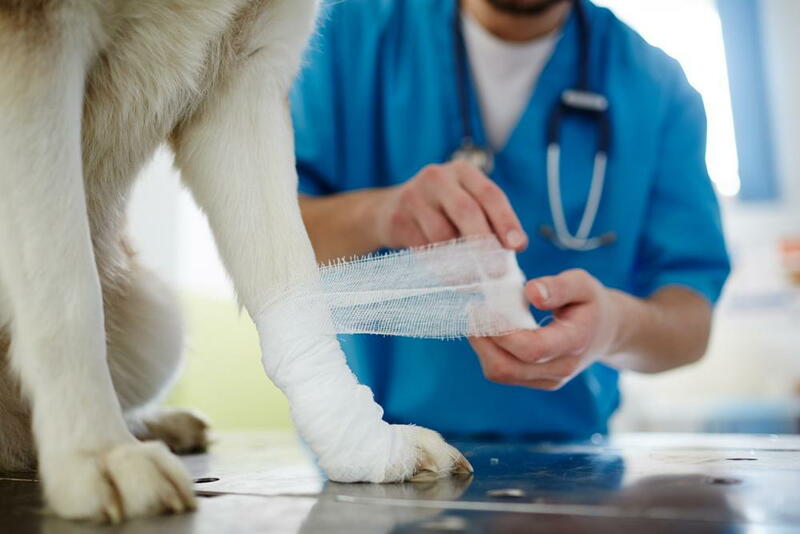 By being aware of some of the most common pet injuries and what to do if your pet is injured, you can make sure your pet receives the care he or she needs right away. There are many potential injuries that a pet could suffer from. Unfortunately, we often see and treat pets that have been injured after being struck by a car. These injuries are often more severe and can include anything from severe lacerations with bleeding to broken and fractured bones. Another common type of injury we see is that related to pets getting into fights with other pets or animals. Cuts and lacerations are the most frequently seen injuries here, though puncture wounds from animal bites are also quite common. Unfortunately, pets are also sometimes accidentally injured by their owners or caretakers. For example, a small cat may accidentally be tripped on or stepped on by an unsuspecting person, causing broken ribs or other injuries that we can diagnose and treat in our office. If your pet has been injured, it's important to carefully secure your pet as soon as possible, either in a crate or wrapped up in a blanket. Unfortunately, pets have a tendency to try and run or even fight when they are injured because they're in fear. If there is any major bleeding, try to stop the bleeding using a makeshift tourniquet wrapped above the source of the bleeding. If possible, give our office a call on your way in during regular office hours so we can have a vet ready to see your injured pet as soon as possible once you arrive. We hope your pet is never injured, but rest assured that you can always contact our Loves Park veterinarian by calling our office at (815) 986-4445. Even if your pet is injured after hours, we can accept after-hours emergencies when you call (217) 377-8823.